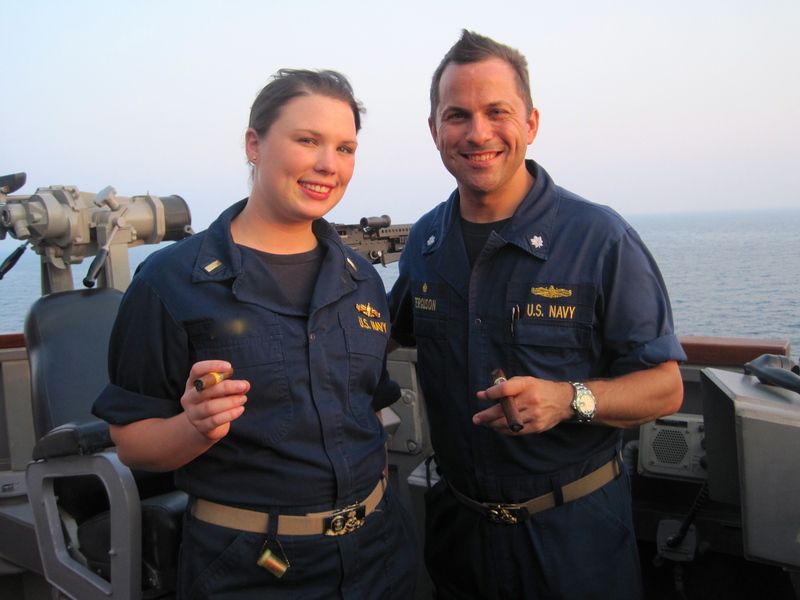 Deployment Chronicles–> Article 22 “This Girl Got Pinned! And so it finally happened! After all of this time and all of the hard work, this girl finally got her SWO PIN. I had a few boards leading up to the main one and each one was more intensive than the last. It was very challenging for me. 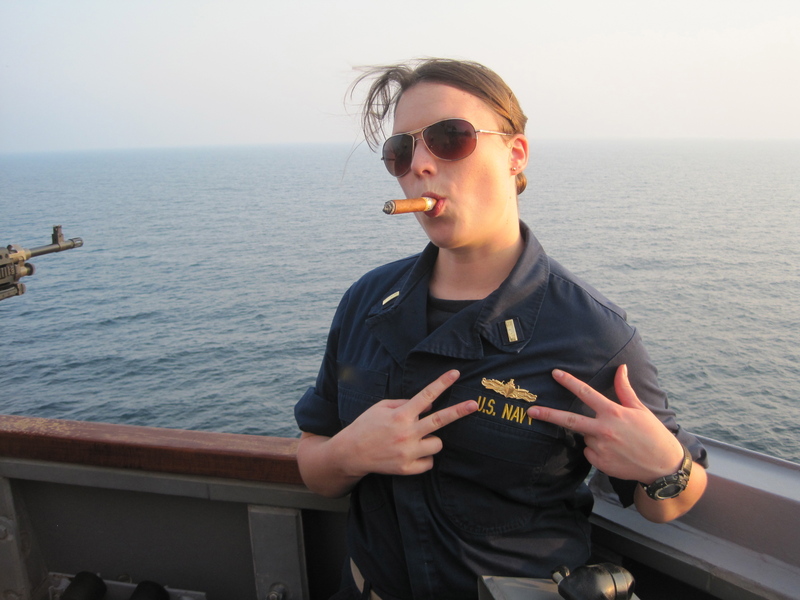 Before I joined the Navy I couldn’t even tell you the difference between a first class and an officer. But if I can do it anyone can do it, I promise you that. 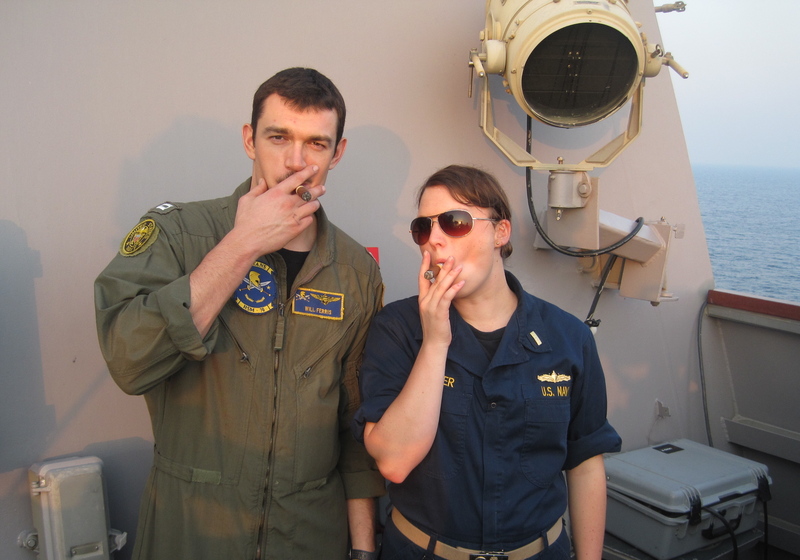 So when the final board arrived with the commanding officer, I was extremely nervous as always. I’ve never been a good boards-(wo)men. They make me very nervous and get sweaty palms but its part of the process I guess. That made me feel less queasy. I went into the board and I felt good coming out but I definitely didn’t blow it out of the water. I wish I would have, but they can really ask you anything in the world and I just can’t know it all. Afterwards, I walked out into the p-way (hallway) for the deliberation. It seemed like an eternity but they finally called me back inside. The captain told me that I had definitely missed a few questions that he would like me to learn about, but he also told me that he’d seen me grow over the past year and he was very happy to give me my SWO pin. I was ecstatic! It felt really good. 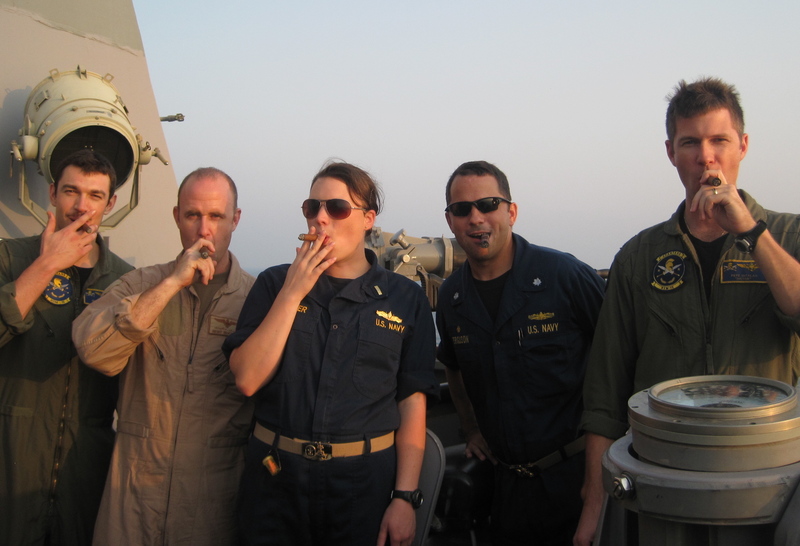 And afterwards, we celebrated in true Navy fashion with some cubans and the pilots on the bridge wing. It was so clutch. It just felt so good. 19 months I had poured into getting that stupid little gold pin. And all of a sudden I had it. After all that. The Pilots came to celebrate with me. All of us, Smoking Cubans, Enjoying the Sunset. Glorious. This entry was posted in My First Deployment, NAVY, Travel and tagged deployment, Finally, Got it!, navy, SWO, SWO pin, travel by Cassey. Bookmark the permalink.